i've this friend. she's the sort of girl who'd go for the hundreds of rose petals spread all over everywhere to celebrate an occasion. she's been married for more than a decade. and on the surface, things between she and her husband seemed pretty perfect. both very sociable people... they had a good group of friends, good jobs, good house. then they became fairly concerned with their standing in society, with their possessions. and then it became an imperative that they have children. and that's when things went downhill. it's been ugly ever since. the friend? she's not the same woman she used to be. she's selfish and self-absorbed. and she's angry, because this supposedly perfect world she's constructed isn't so perfect. and i'm not entirely certain she's realized that part of the reason it isn't is because, while she's found good things for herself, she hasn't been good. now she and her husband argue over who gets what and when. and they're too tired to bother with those children they had to have. today, i drove into houston to check a popular florist to see about getting some peonies. it's a small shop... used to be in river oaks... now it's in rice village. it was pretty busy today. of course it was. a dozen men shopping for their spouses. i overheard one gentleman, a handsome man in this thirties, tell one of the associates that he'd used them before, that they'd put together some arrangements for his girlfriend in the past, that he'd been quite pleased with their work. another gentleman pointed to two arrangements on the table, both very similar, and asked me which one i liked better. as complicated as my brain likes to make things, at the heart of it, i'm a pretty simple gal. i don't need a lot. if a guy were to buy me flowers, i'd hope he'd veer toward the buckets in the refrigerated cases... the ones holding the batches of a dozen of one kind. i'd hope he'd choose the ranunculus over the roses. something sunny. because it's winter time, and i hate the gray. or, if he felt like really impressing me, maybe he could've called ahead a couple of weeks in advance and found me some peonies. the white ones with the splashes of red. those are my favorite. they're hard to find right now, but from what i understand, it's not impossible. just takes some time. and a little more money. a handful of either of those, and i'd be content. but the roses and the lilies and the baby's breath and the ferns... cut in a pretty bouquet and arranged just so.... i don't need perfect. so i told the guy that i wasn't fond of either of'm. that he should have a look at the ranunculus in those cases over there. another guy showed me a bouquet of white and red roses cut short in a vase, with a topiary above them cut in a heart shape. he asked me what i thought of it. i hated it, actually. made me think of those horribly cheesy weddings... way too over the top. this particular arrangement cost well over a hundred dollars. i told him, i'd rather a guy spent twenty bucks on some posies and took me out to a nice dinner than a hundred plus on something that was gonna die in a week. that it didn't need to be so much. it doesn't need to be. it just needs to be good. the people need to be good. my parents they've been married for fifty years. 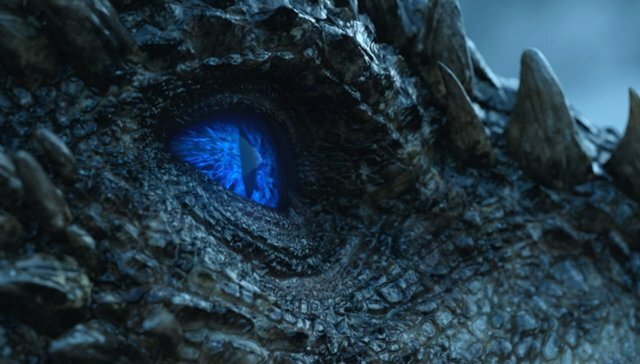 they've seen worse; they've buried a son. they're not perfect. they have just enough. they had children because they wanted them. not because society said they should. not because of how having the children would reflect on them. sure, they fight. my father's the most regimented, patriarchal, stubborn man i've ever met. but he's good to my mother. my mother? she's pretty set in her ways, and stubborn, too. but she's good to my father. and their marriage works because they give instead of take. because she doesn't need hundred dollar bouquets. 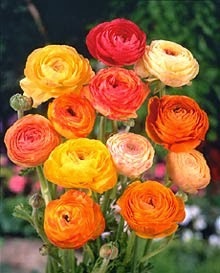 ranunculus, by the way, symbolizes something like you're radiant with charms. i love that. seems to me that a strong relationship isn't determined by the size and style of the arrangement. but i'm just a single gal. what do i know? I totally agree! I love the bouquets that are geared for you as an individual and what you like- not the cliche roses with a little heart balloon stuck in there. :) And you know plenty!! There was a flower shop that opened in my college town that did the most unique arrangement with succulents and all sorts of other off beaten varieties and they put them in interesting little vases that were neat keepsakes, as well. I think you made great points about love in this post. I think you are wise from observing other's relationships and are probably the best kind of lover (both platonically and romantically) because of that. I'm with you. I love the bucket-of. However, I'm married to an engineer who's an avid gardener, so buy already dead flowers as he puts it is such a waste...yet last night he brought me flowers for the 3rd time in 30 years. A dozen, perfect red roses. Extravagant, so unlike him, so therefore perfect. I'm not a single gal and I agree with you 100%!! Nate and I have an agreement that he'll never get me flowers for V-Day. They're too expensive then. I'd rather have him take me out to dinner or get pizza and cuddle on the couch like we did this year than get overpriced flowers.